Published in 1864, The Maine Woods was written as three essays. 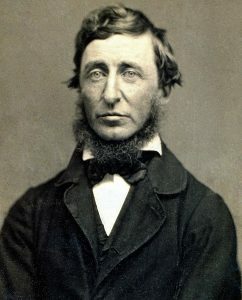 If he had lived longer, Thoreau might have revised them into a more cohesive whole, but he never had the time to do this. The book describes trips over an eleven year period, and Thoreau’s work on these essays spanned 15 years.